What happens to Santa when he gets stuck on the roof after he puts the presents under the Christmas tree? You and your kids can find out at New York City Fire Museum on Hudson Square. After the unlucky Santa is rescued from the roof by firemen, all the guests are invited to a party where they are treated to hot dogs and hot chocolate. Enjoy nice tunes from John Clacher’s Firehouse Band and take photos of your kids with Santa. Seeing New York at Christmas is a truly bright and unforgettable experience. There are so many things to see, to try, to do, to feel, and wonder at that you will surely want to come back. 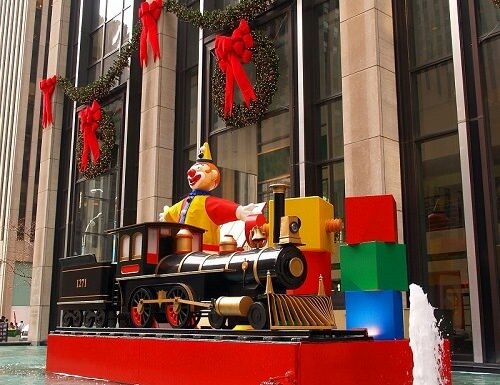 In the Big Apple, old and new Christmas traditions come together to create a truly magical time for all those who visit. NY has already won your heart, hasn’t it?